[New York, NY – August 22, 2018] Generating over 100 million streams across all platforms, Brooklyn’s GASHI is hip-hop’s next crossover superstar. Coming through with a hook-filled, Afropop-inflected jam for the late summer, GASHI shares “Creep On Me,” his new single via Honesty Saves Time/RCA Records. Dancing above a syncopated instrumental with a smoothly rhythmic vocal, GASHI describes the process of falling head over heels in love with someone who shows affection in private but plays hard to get in public. 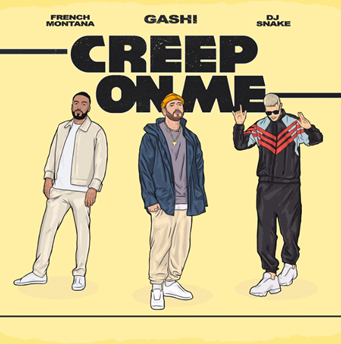 Produced by Cirkut, with an appearance from French Montana and additional production from DJ Snake, the first guest artists to ever appear on one of GASHI’s singles, “Creep On Me” is a bright blast of fresh air and a perfect fit for the radio. Click HERE to listen. GASHI’s new song comes on the heels of the Libya-born, Albanian-raised rapper’s appearance at Sunny Hill Festival in Kosovo just weeks ago. A master tunesmith who first broke into the industry as a songwriter, GASHI built a massive following with his impeccable sense of melody and lyrical abilities. Born in Libya but with both parents from Kosovo, GASHI spent much of his young life as a refugee, moving from country to country. His family eventually settled in Brooklyn, where GASHI spent a majority of his teen years. 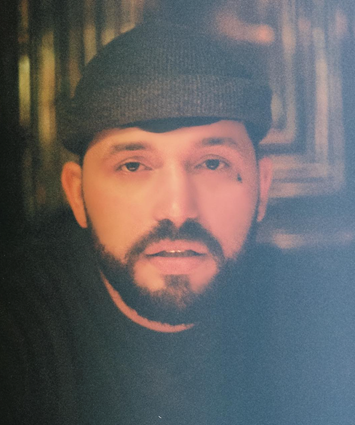 Though his roots are in hip-hop, GASHI has expanded his sonic palette and created a unique sound that sits in between pop, hip-hop, rap, and dance music, breaking out in 2017 with the hit “Disrespectful,”which has over 50 million streams on Spotify alone. With “Creep On Me” and GASHI’s upcoming project, the young multi-hyphenate will continue his march to mainstream success. The GRAMMY® Award-nominated multi-platinum rap icon, producer, influencer, philanthropist and first rap ambassador of Global Citizen joined the “Billion Club,” as his 5x-platinum smash “Unforgettable” [feat. Swae Lee] crossed 1 billion cumulative worldwide streams. It’s featured on his second full-length album, JUNGLE RULES [Coke Boys Music/Bad Boy Entertainment/Epic Records]. Meanwhile, “No Shopping” [feat. Drake] and “Lockjaw” [feat. Kodak Black] both earned RIAA platinum plaques stateside. Montana embraced the culture and became enthralled with it, and began releasing the Cocaine City series of DVDs in 2002, mixing interviews with established hip-hop artists and unsigned talent. Around 2009 he began releasing his own mixtape CDs with DJs like DJ Drama, Evil Empire, and Big Mike as his hosts. In late 2011, he signed to both P. Diddy’s Bad Boy and Rick Ross’ Maybach Music imprints in a unique joint venture. His 2012 single, “PopThat,” would be the firstrelease for the united labels, while 2013 saw the release of his debut album, Excuse My French. A series of mixtapes, each with an increasing R&B influence, brought Montana to 2016, when he dropped Casino Life 2: Brown Bag Legend. The mixtape included the hit single “Moses” featuring Chris Brown and Migos. DJ Snake made his full-length debut with the 2016 album Encore, which hit #1 on Billboard’s Top Dance/Electronic Albums chart and debuted in the top 10 around the world (including at #8 on the Billboard 200). Since scoring his first #1 with “Let Me Love You” ft. Justin Bieber, DJ Snake has achieved massive success with hits like “Get Low,” “You Know You Like It,” “Lean On,” and “Middle” amassing over 10 billion streams. His triumphs also include the 2017 releases “A Different Way” ft. Lauv and “Broken Summer” ft. Max Frost. Earlier this year, DJ Snake landed at #9 on the first-ever Billboard Dance 100 artist rankings. Click HERE for clips of “Creep On Me” for social media use.